This offer includes a 3 night hotel accomodations in one of three world class Ski Resorts at 200,000 points or $2,000. 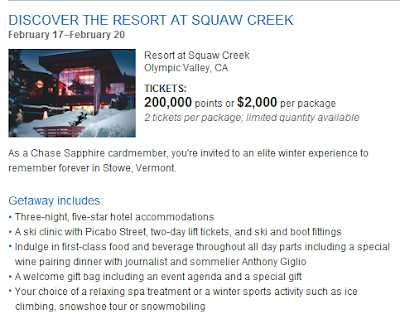 Unfortunately, below you will find only two Resorts listed since the third has already sold out. 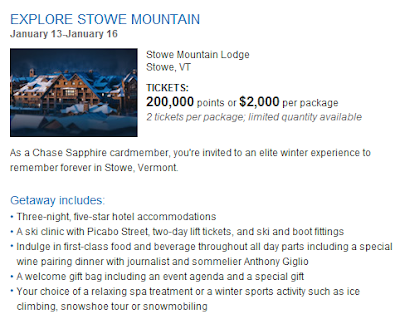 You can find this Chase Winter Getaway Offer at this link.